I loved your article on writing someone else’s story. As a writers’ conference instructor, I face this all the time. Usually it’s “I’ll tell it to you, you can write it, and we’ll split the profits 50/50.” Of course, they’re assuming that the book is going to be published and that there WILL be profits. I tell them I don’t ghostwrite, using the reason that “I haven’t gone through what you’ve gone through, so cannot feel the emotion that you’ve experienced.” Then I suggest that they write it to the best of their ability, and I’ll edit it. I do not quote them an editing fee until I see at least one chapter of their writing, and then, if I agree to do it, I ask for a 50% deposit. The only book I did write like this was for my nephew who is a gospel songwriter with 28 songs that have gone to number 1 on the charts. He had a non-curable disease for 17 years (28 doctors at Mayo Clinic told him there was no cure), then he was healed. Because he travels across the country holding concerts and telling his story, there was a market for his book. He paid me a flat fee up front and then 50% of the sales. Earlier this year, a publishing house published a book I co-authored with a well-known radio personality. Even given my partner’s celebrity, I entered the working relationship (which, as in your example, he initiated) only on this basis: (1) I would be paid for putting together a book proposal and two sample chapters which we would submit to a handful of carefully chosen literary agents, and (2) only after an acceptable contract was signed with an acceptable publishing house would I even consider writing any more of the book. Of course, the two of us already had worked out our own contract regarding further payment, but my point is that this contract was moot until we had a reputable publisher who had ponied up an advance on royalties. 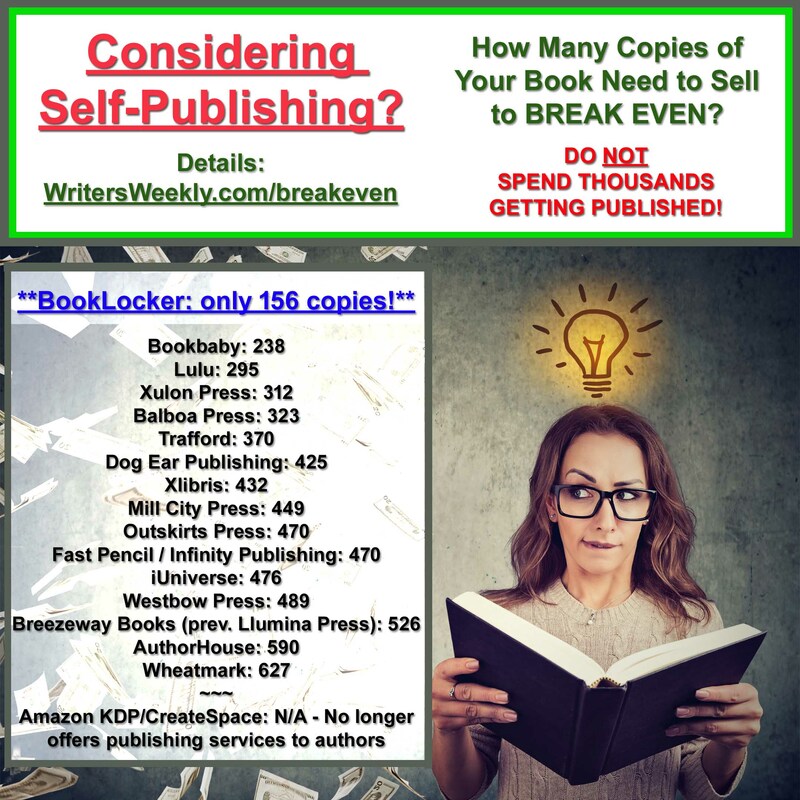 Others may differ, but I would feel I had wasted a good chunk of my precious time on earth if after writing what essentially was someone else’s book, I never saw it published–even if my client had personally paid me well. I say if you can’t find an agent on the basis of the book proposal itself, think twice about investing significant time and energy in a book-length manuscript, regardless of what someone’s willing to pay you per hour. Life’s too short! In my “firming up” email I told her my (very reasonable) rates. I haven’t heard from her since. I’m guessing that the “intimidation” she attributes to the other writers is that this “Sam” doesn’t want to pay anyone for their writing. Never write for free. You get what you pay for and if you get it free it is worth nothing. A mantra all writers should take to heart. Bravo for the article on people who want us to write their stories….it is amazing how many people think that once someone has the idea, the writing is just secondary. I always tell people….I have great ideas, too, why don’t I give you one of my ideas and you can write that? And save me from the person who has a great family story to tell–who wants all the names, places, dates, etc. changed! Angela – love your article, Will You Write My Life Story? 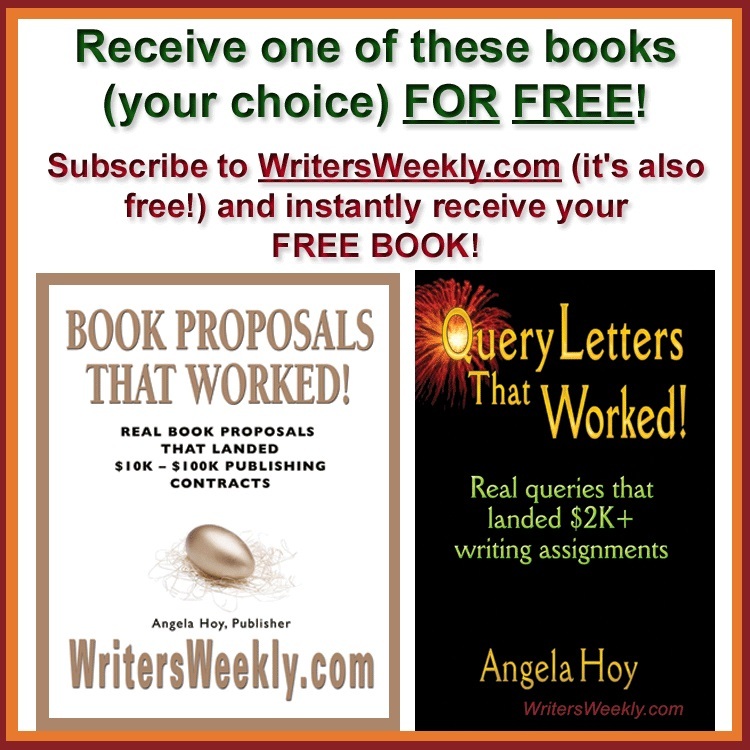 I ghostwrite books (7 in the past two years) and charge $50,000 per book, plus $5,000 per month for major national PR. 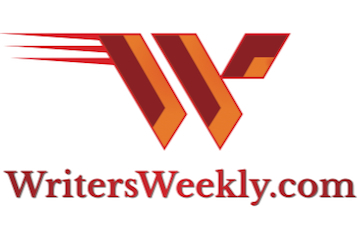 I don’t know how many emails you get from your readers, but I thought I’d finally send you along a note to let you know how I enjoy reading your notes from the field as you journey along, and of course, the WritersWeekly newsletter. I’m a writer of magazine articles, reports, and proposals, and I’ve been the editor of a national education magazine. I usually give a good skim here. It keeps me going, knowing that there are others out there encountering similar challenges and triumphs, and the familiarity with the territory and info that I encounter is comforting as well. I made the move to full time freelance writer a couple years ago and I can’t really imagine working for a company any time soon in the future. I prefer working for myself, setting my own rates, hours, getting up when I want, staying up late to work, and generally keeping in my discipline when I determine it. I can directly influence my own paychecks, sometimes there are many, sometimes few, but it’s all me. I get to generally exert control on everything I do and I enjoy it that way. The freelance, self-employed life may not be for everyone, but for those that it is for, they are a special breed, and I am happy to be among folks like you. I flipped through the photo album you posted online and, being originally from the east coast, I enjoyed seeing some of those sights and after getting your newsletter for quite some time and then putting some human faces to it, I felt a connection. 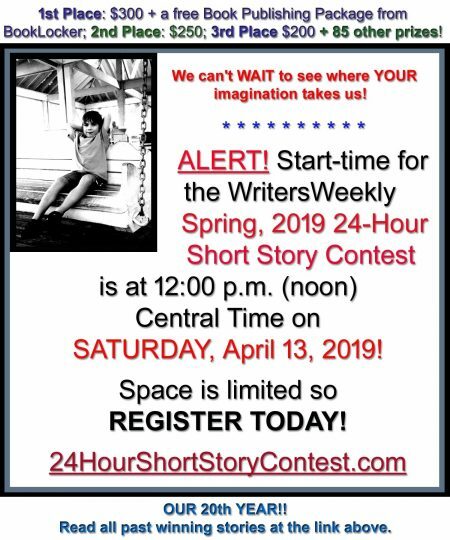 Again, thanks for sharing, have a fun trip, and keep writing!